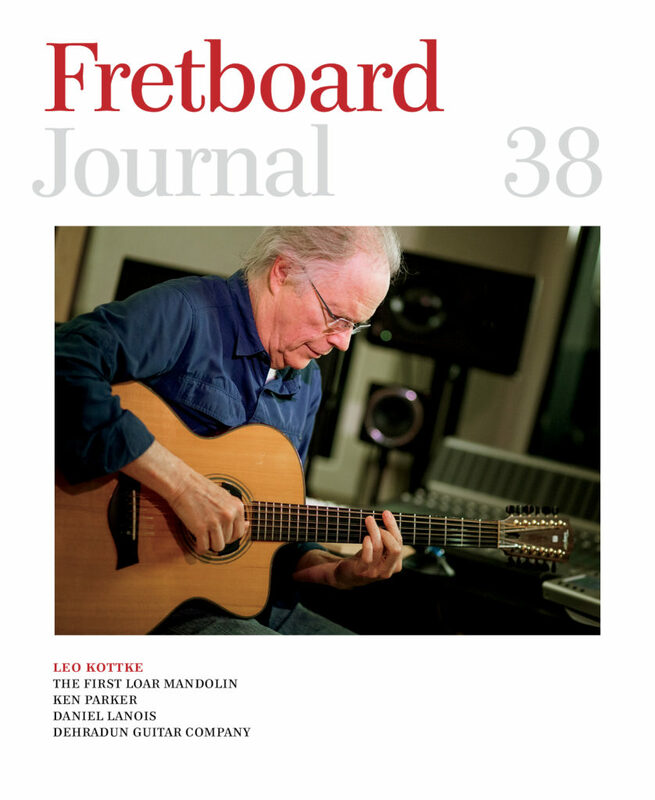 We climb the highest mountains for you in the 38th issue of the Fretboard Journal to bring you another 128 pages of the finest stories in the world of fretted instruments, visiting our musical heroes, luthiers of legend and instruments iconic and not quite. 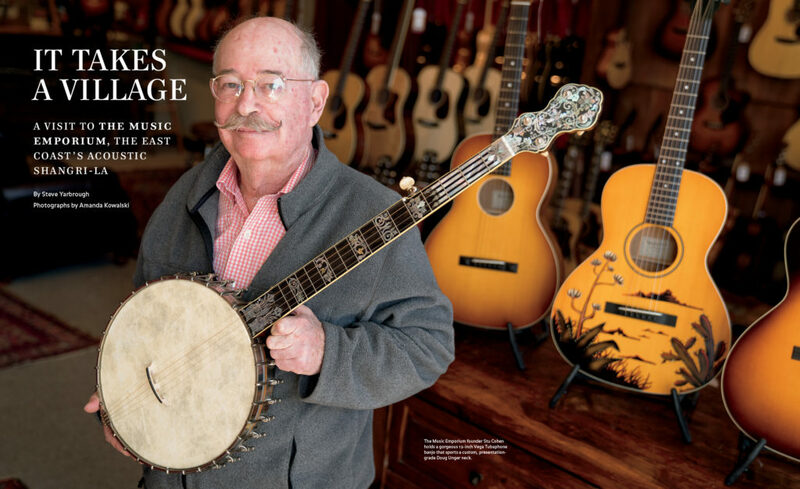 Inside this issue we travel to the Himalayas for David Murray’s story of the Dehradun Guitar Company, then back to the Rockies for Nick Forster’s conversation with Leo Kottke; we follow the many wanderings of Mike Kemnitzer, proprietor behind Nugget Mandolins; John Thomas ponders a Bizzaro Universe Buddy Holly where he ditches his Strat for a Goldtop; we settle in for an epic (first of two-part) conversation with luthier Ken Parker, and much more, including a visit to the Music Emporium, a look at the indelible work of Daniel Laois and break down the resuscitation of the very first Loar Mandolin. 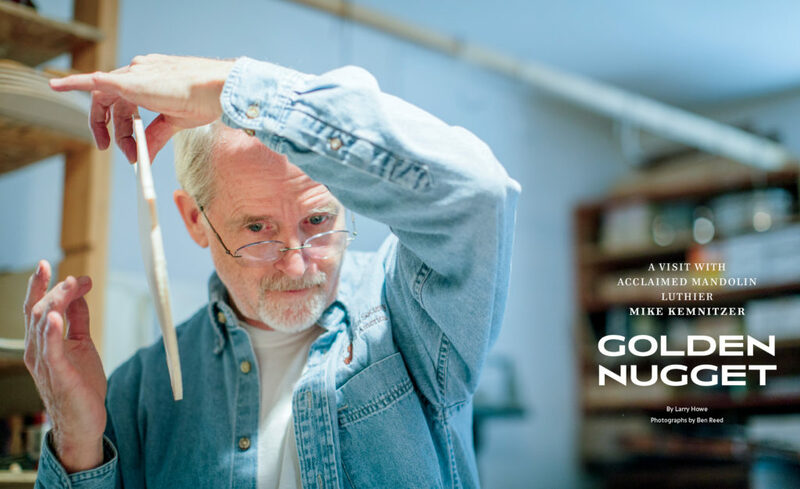 As always, this issue’s pages are filled with exclusive photographs and in-depth interviews you won’t find anywhere else. 128 pages, printed on keepsake paper. 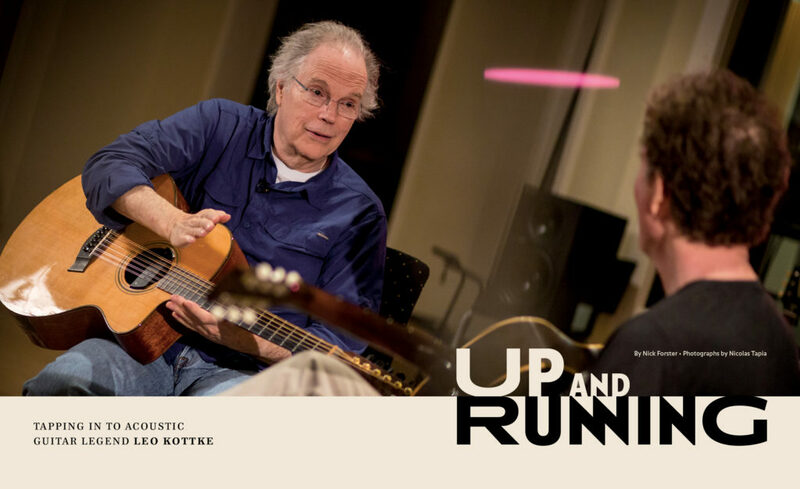 For our cover story, Nick Forster (himself interviewed in Fretboard Journal #34) sat down at eTown with the legendary Leo Kottke for a wide-ranging conversation about his career, his influences and his instruments. Generally speaking, things aren’t going well when you’ve got a 100-year-old instrument opened up before you like an oyster awaiting a dab of mignonette. Sometimes, however, it’s serving the greater good, the first step on the road to rebirth. 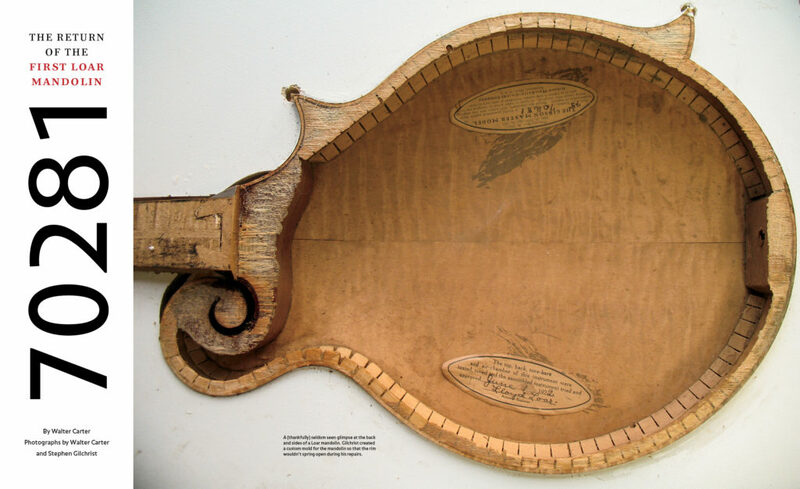 Walter Carter takes us through the extensive repairs undertaken to bring S/N 70281, the first Loar mandolin, back to life. 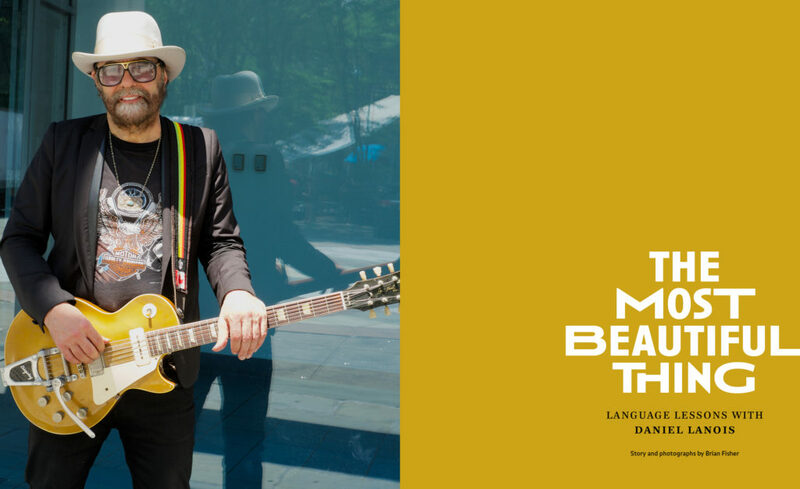 Deep down where the realm of sound bleeds into the realm of the spiritual is the place Daniel Lanois calls home. Frequent FJ contributor Brian Fisher sat down with the musician and producer for a lesson on the language of Lanois. 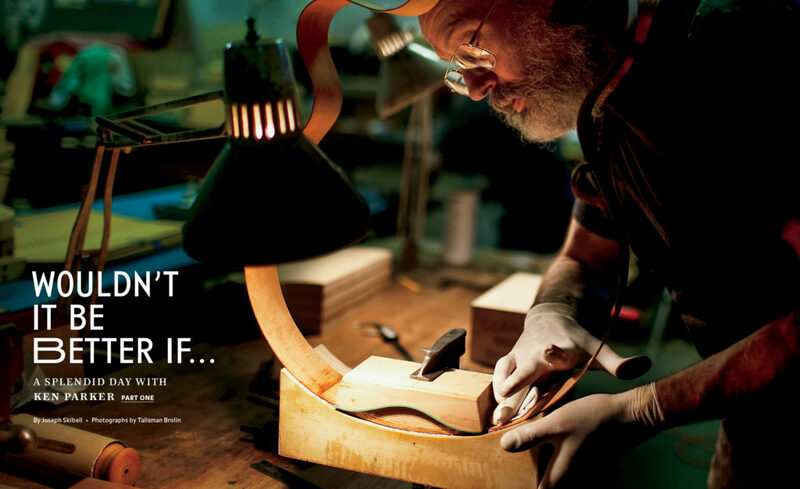 Speaking of breaking down the magic of a Loar mandolin… Larry Howe profiles Mike Kemnitzer, whose impeccable mandolins encompass the tradition of Loar while stretching to include broader traditions and a distinctly forward-looking approach to lutherie.